The Playa de la Concha is placed at the Paseo de la Concha of San Sebastian, promenade that connects this beach to Ondarreta beach. This white sand beach is placed at the very centre of the city and offers to its visitors the possibility of enjoying amazing views like the most typical one: the view of the shell-shaped bay dominated by Urgull and Igeldo hills. It is said that La Concha is one of the most beautiful urban beaches in the world. In fact, it was rated as the second best beach of the world according to Travel and Leisure magazine. 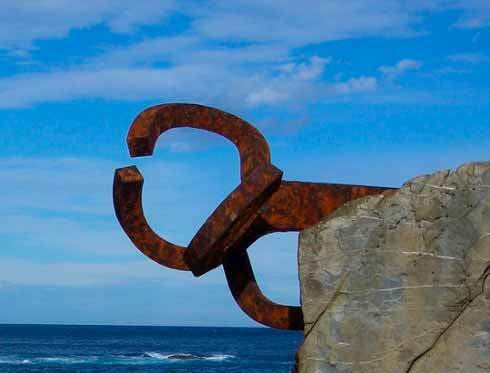 La Concha is also known for its promenade, where people can find its emblematic railing that is no longer exclusive of the beach. Since it was restored, the company responsible of the restoration started offering replicas of it. So, nowadays, people can find parts of La Concha railing at many places. The most famous replica is located in Sitges, but there are also replicas in other places of Barcelona and Madrid. The beach is also appreciated by surfers. The geographical location of this beach, like other beaches of this area, offers ideal conditions for all types of water sports. 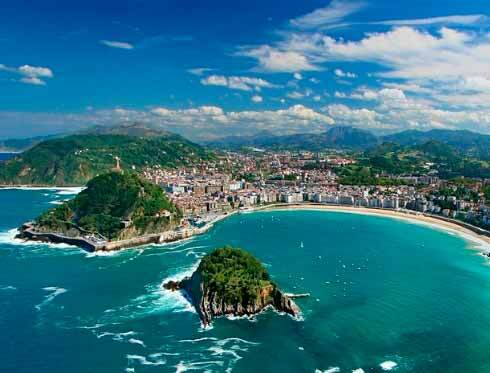 Fall in love with one of the most emblematic beaches of San Sebastian and do it with Donostia-San Sebastian City Tour. 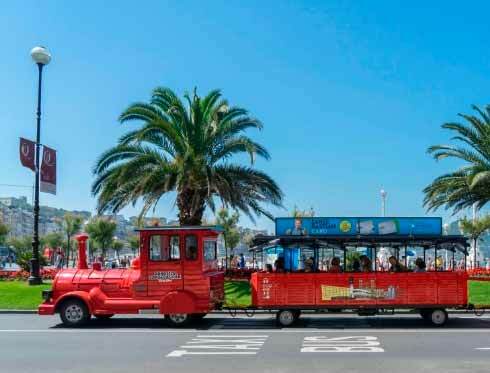 You will be able to enjoy a pleasant walk around the beach hopping off at stop number 9 of the route offered by our tourist bus (Playa de La Concha - La Perla) and continue the tour of the city with the Hop-On Hop-Off service.